Xanax, a drug for anxiety and panic disorder, is a benzodiazepine drug. Hence, it has some level of addictiveness. In fact, the United States’ FDA has categorized it as a Schedule IV drug due to the possibility of Xanax abuse. Nevertheless, the government still considers it as less dangerous than other psychoactive drugs such as morphine and cocaine. Because of these, it has become important for people to know and recognize the early stages of Xanax abuse. This knowledge can help them save someone they know from falling into worse kinds of addictions or experience more severe side effects from the drug. Recreational users of Xanax have found various ways of absorbing Xanax into their system. Other than taking the drug orally, some have started snorting and even smoking the drug alongside other drugs such as marijuana. Lastly, drug companies created most benzodiazepines in a way that oral consumption is the most efficient way to take the drugs. They did this to avoid the abuse these drugs are already being placed through. Furthermore, using other means such as snorting or intravenously could cause the side effects of the drug to worsen or spread dangerous diseases. Data gathered by the Substance Abuse and Mental Health Services Administration and Drug Enforcement Agency suggests that there may be a rise in the incidence of Xanax abuse in recent years. 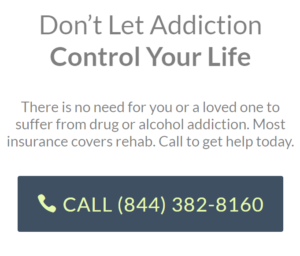 The best treatment is to bring yourself or someone you know who is abusing the drug to a rehabilitation center. However, your first step should be to get consulted by the prescribing physician. This is to affirm whether you are or are not abusing the drug.